Star light, star bright. First STARFISH yesterday in sight. SEASTARS are always so much fun to see. This beautiful creature went right back in the calm, clear Gulf water where Linda and David (TN) found it while on our iLoveShelling adventure with Captiva Cruises yesterday. I was also thrilled to see this gorgeous SHARKS EYE OPERCULUM that Jill (Peculiar, Missouri) found. She brought it over for me to identify and I think I went a little crazy… “Omigosh it’s perfect!”. I always love when other beachcombers have an eye for the unusual pieces of beach bling and want to know what it is. She said she saw that cool swirl on it so she picked it up. Most people would have walked right over it… but not Jill! (check out our first one CLICK HERE -errr…. but its nowhere near as pretty as her’s). I think Jill found that OPERCULUM because she has an eye for the small BIVALVES and likes to find shells she’s never found before. I think there are about 9 different species on her towel she brought to wrap them in for safe travels. Jill’s not the only one that loves the bling and unusual, Shelly found all sorts of fab finds like FEATHERS, SEA URCHINS and huge shell pieces. Look at that happy smile on such a beautiful day at Cayo Costa Island! The water was an amazing 75 degrees for Mac and Delta ( Los Angeles) to wade and scoop up a few treasures like LETTERED OLIVES and FIGHTING CONCHS. So much fun hanging out in the water with y’all! We all found oodles of live OLIVES in the water and on the beach that we had to put back where we found them… but we were also lucky enough to find a few really glossy empty ones too. Sue and Jens from NC were happy to find a few OLIVES and a stunning LIGHTNING WHELK too. And PURPLISH TAGELUS shells too. These were scattered all along the mid tied wrack line on the beach so once we found one, we followed the same tide line to find so many more. We were barely off the boat stepping foot on the beach when Louisette and Michael (from Massachusettes) found a pile of shells they started scooping up. Louisette is a Sailor’s Valentine artist so she was in heaven with all of the common ARKS, VENUS shells, JINGLES and KITTENS PAWS all the same size for her work. Local shellers Cazzie and Beth (Fort Myers Beach) found showed me their fave shells they found- Cazzie with a CONCH and Beth with a juvie lemon yellow HORSE CONCH. Rena brought her friend Nancy (Boston) who had never even heard the term “sheller” before this trip- A newbie! She might even consider herself a sheller now? haha Hopefully! I had a twin on our cruise! Susan and I showed up with the same outfits on- same hat and iLoveShelling tee shirt. She and her husband Stuart were on a cruise last year with us when Stuart found an OLIVE without a tip. She took that OLIVE shell to Congress Jewelers with her certificate she received on our iLoveShelling trip and had this necklace made she has on this the next photo. A wonderful memory from last year- i LOVE that!!!! So much fun to see y’all. 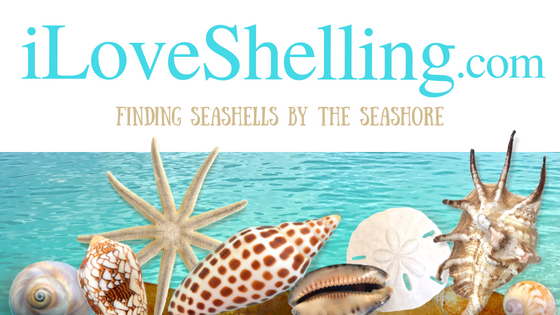 Just like Susan and Stuart, each passenger on this and all iLoveShelling cruises received a $25 gift certificate from Congress Jewelers (formerly Sealife By Congress) to use in their store. Thank you Congress Jewelers for being so generous with the iLoveShelling community! Pam, Stuart and I loved coming on our second shelling cruise with you! He spent so much time searching for live olives to rescue that he came away with very few shells to take home! LOL! I would love to have a copy of the selfie we took together, since you and I were “twins” that day. If you still have the pic, could you email it to me? Btw, we found 3 sand dollars on FMB yesterday! Will be enjoying Sanibel for 10 days in March. Just made reservations for your March 9 shelling cruise. We were the first ones. Can’t wait! Thanks for adding our “twin” pic, Pam! We stopped by Congress Jewelers today and used our gift certificates, too. No matter how many times I find an Olive shell or see photos of one…I know they’re common…they’re still one of my most favorite shells. They’re usually just so shiny and pretty–just gorgeous!! Hey Pam, what is that dark pink bivalve shell in the lower left-hand corner of the paper towel that has Jill’s small bivalves on it? Hi Susan- it’s a very pretty cancellate semele. Jill has a good eye, right? :) hope to see you! So glad Susan asked about the cancellate semele, I’ve been trying to figure it out as well! We are looking forward to the trip to Big Hickory next week. Pam, Pretty sure that was the lovely Delta B. on that cruise…been a long time fan of hers and her work for many years. Was so good to see her and her husband…and to see them out doing something so fun and so relaxing! Thanks for sharing all the pretty things you share on this blog, I love it! I blog from beautiful Charleston, SC….stop in sometime! Hi Hunter, Rest assured that if there is any unsafe weather effecting the boat trip, the captain won’t leave the dock. I haven’t talked to them directly but Ive put in a call to them to make sure of the exact procedure. I will get back to you with the info today. I love seeing all the happy people and their shell findings. I will be there in February and cannot wait. Can anyone tell me or post where you can purchase the net scoops and netting bags to hold your shells? I want to purchase them when I get there and have no idea where to get them. Thanks Pam, for all the info you put into this site. I love this site!!!! !